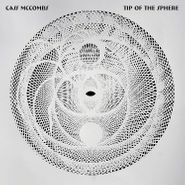 California singer-songwriter Cass McCombs’ latest, Tip of the Sphere, has a throwback, backroads Americana quality to it. This isn’t a reference to the LP’s expected focus on folk and country harmonies but more about how each track fits seamlessly next to its predecessor, weaving a mood, building an atmosphere — in short, this is that rarest of modern albums, one that’s meant to be listened to AS an album, not merely as a disparate collection of singles placed next to each other. McCombs’s lyrical obsessions are dark, his characters sharply drawn. He’s a natural storyteller, a gifted troubadour. Bittersweet and disarming, Cass McCombs paints a picture like no one else can on Tip Of The Sphere.